I’ve been raving about the health benefits of maca lately and have been doing a ton of research on the best brands. I have come up with my 5 favorite brands for everyone. Even if you can’t spend a lot, you can still get a small dose of maca and try it for yourself. All of these recommendations are produced by top companies, secure to buy on Amazon, and highly recommended by other customers. Why it’s one of my favs: The Maca Team specializes in, you guessed it, Maca. 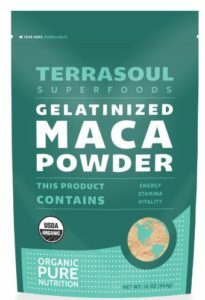 On their site you can research and choose between red, yellow, black, and premium maca for both raw and gelatinized powders. They source the finest quality, organic, fair trade, gmo-free Maca products anywhere and are proud to stock the best selection of Maca in the world. 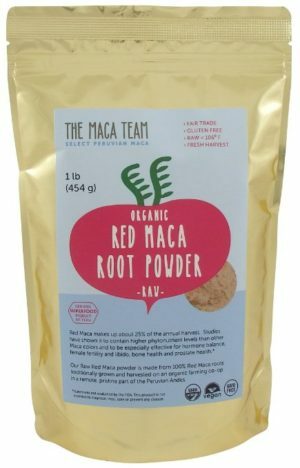 I love this red maca and highly recommend it. Why it’s one of my favs: The Organique Co specializes in superfoods in powder form. 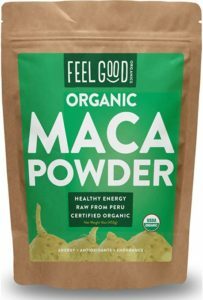 They strive to find the highestly quality superfoods from around the world and have found top quality maca in Peru. Their nutrient-rich maca root is harvested by hand and gelatinized to enhance its bioavailability and health-promoting properties. 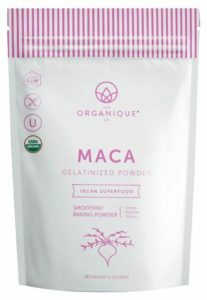 Why it’s one of my favs: This is a 100% raw (not gelatinized) maca powder straight from Peru. Feel Good Organics strives to find the highest quality ingredients and offer them at fair prices, which is seen by this great price. This is a great deal if you want to try a raw maca powder. You can read more about raw vs gelatinized here. Check out the customer reviwes for more info. Why it’s one of my favs: Here’s another one option from The Maca Team! It’s a great brand that knows everything about maca. 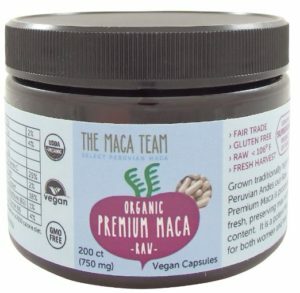 In addition to the maca powder, they offer maca capsules. They fill their capsules “in house” rather than sending them off to a big packing facility so they’re able to offer the capsule form of all of their powders. The Maca Team also offers super fresh capsules – they will have been filled with powder less than 2 weeks before they arrive! Definitely gives these a try. Why it’s one of my favs: Terrasoul Superfoods is a small, family-run business located in Fort Worth, Texas. They have a desire to find reliable and affordable sources of certified organic, fair trade, and sustainably-grown, nutrient-dense foods. This maca is grown on small family-owned organic farms high in the mountain plateaus of the Peruvian Andes and is sold at a great price.